It has been the worst Bradford City season in 15 years. Just seven wins at Valley Parade all campaign. 11 defeats in the last 16 matches. Bottom of the league. About to be relegated. Back to the basement division. And yet 13,108 of us have signed up for another year. Season tickets sales for 2019/20 have exceeded all realistic expectations. 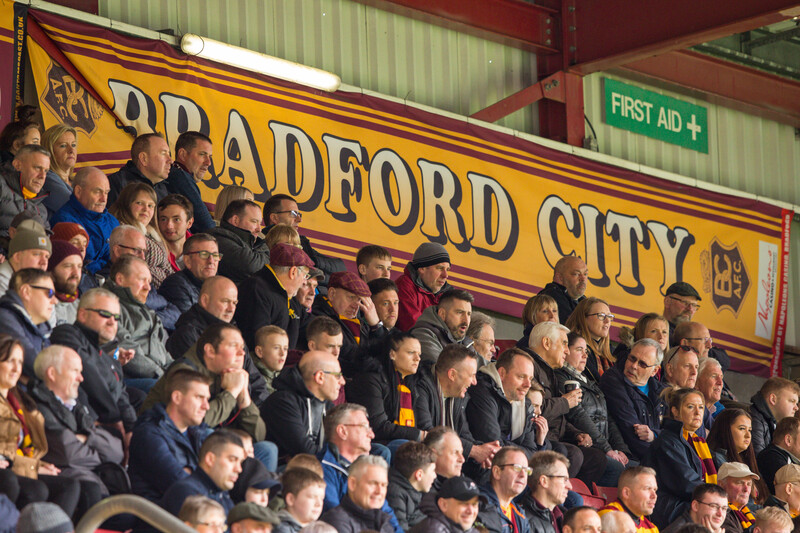 It is a remarkable demonstration of faith from Bradford City supporters. A colossal show of support in the club’s hour of need. Last summer under Edin Rahic, season ticket sales figures were kept under wraps. Thousands didn’t renew and Rahic did not want the world to know. WOAP understands that around 13,700 were actually sold. So for City to have basically matched the 2018/19 total is quite something. And there’s still plenty of months until next season starts to exceed that amount. Edin Rahic’s negligence did so much to destroy all that was good about Bradford City. But this amazing show of support proves that we will not die. Robbed of dreams of making it to the Championship. Stripped of a team we can be proud of. But I know I am, I’m sure I am, I’m City ’til I die. It’s tested us all, these past 18 months. As a fanbase we have fretted non-stop about the future of our club. We’ve argued with each other. Oh, have we argued. In the comments section on this site. On Twitter. Facebook. The message boards. In the pub. Even inside the ground. Arguments about Edin. About Stefan Rupp. All those managers. The bloody useless players. If you’ve avoided falling out with a fellow City fan over the past year and a half, you’ve either been biting your tongue or living under a rock. But at the end of the day, we’re all City aren’t we? We want the same things. We cheer at the same moments. We despair as a collective. We are a community, riding this rollercoaster together. Passionate. Caring. And most definitely loyal. The season ticket uptake proves that yet again. There’s no question we are still in tough times. It took 2 hours and 40 minutes for the Titanic to sink after hitting the iceberg. At Bradford City, the damage of Edin occurred several months ago, and we’ve been frantically trying to avoid capsizing since. But through the imminent relegation, we are about to crash into the icy waters of League Two. It won’t be easy rebuilding the team over the summer, given so many underachievers remain under contract. League Two is an unforgiving arena – it took six attempts to get promoted on our last visit – and a promotion push next season shouldn’t be assumed. But we have strength in supporter numbers at least. At no point during our last League Two adventure were we able to count on 13,000+ season ticket holders. What the high renewal rate does prove is that Bradfordian resilience. 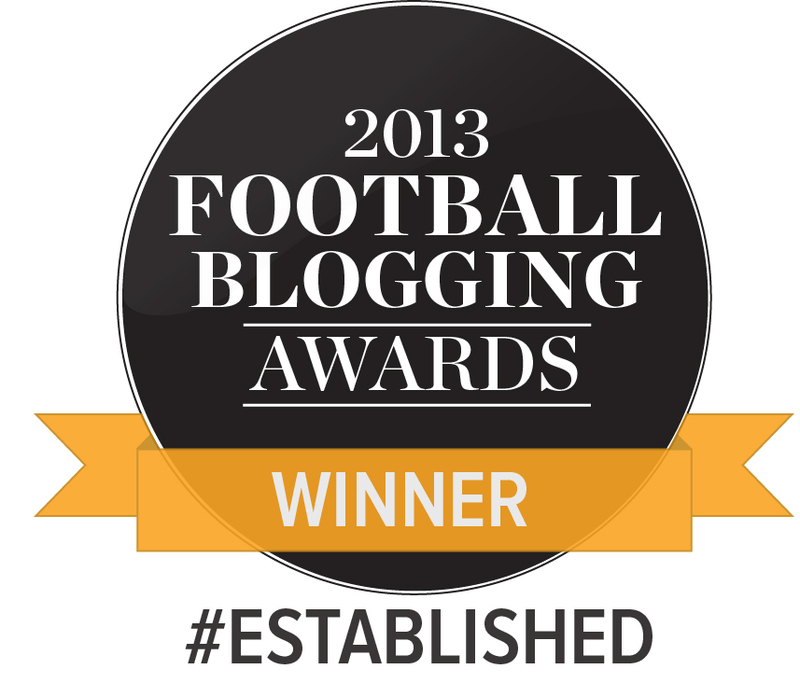 To be a Bradford City fan is to live a life of fleeting glory. The good times like Chelsea, Villa, Wolves and Liverpool are long celebrated because the highs are rare. If glory was all that mattered, we’d have given up and gone to support a Premier League team on TV long before Edin had a dream. And though the patience to endure many seasons as bad as this one would wear thin quickly, we accept that relegations are the painful part of the package you sign up to as a lower league supporter. We are Bradford City. It’s our way of life. Our Saturday afternoons. Our occasional Tuesday evenings. And it dominates our thoughts and conversations in almost every waking hour in-between games. It hurts so much right now and we’re desperate for the season to end. But after a summer break, come August there will be nowhere we’d rather be than at Valley Parade. Despite the on the field collapse, there are signs of hope off behind the scenes. The club are realistic, but also looking to next season with confidence. There is an internal belief that Gary Bowyer knows how to fix things. That the retention of Julian Rhodes provides positive leadership. That the club can prosper again. If there’s one consolation about being so cut adrift at the bottom, at least the planning for next season can begin before everyone else. The £2 million deficit? A problem of course. But Rupp’s financial resources are considerable. What’s more, a Swansea sale of Oli McBurnie would trigger a sell on windfall for the Bantams, which can help offset the losses. Bowyer would not have agreed a two-year deal without financial assurances from the top. A busy summer awaits. Hopefully next season will be better. That we recover from relegation in the way Bury and MK Dons have to compete at the top of League Two. Put to bed the nightmare of these past 18 months. So that eventually we can look back on this time with half a chuckle, in the same way we eventually could laugh about Barry Conlon, Jake Speight and Chib Chilaka. Who knows: maybe one day Matter of Heart will be viewed as a comedy film, rather than a horror. But whatever happens, we stand tall together. We supporters are the club’s biggest asset. We have kept with the club through thick and thin before, and we’re once again enduring a tough moment together. The good times will return again. And when they do, we’ll appreciate them even more because of what we’re currently going through. City ’til I die? There’s no other way. I was counting our ups and downs since my first game in 1967. 7 promotions and 7 relegations – so something roughly every four years. What we can’t underestimate is a bad season that could put us on the edge of a precipice. But then look at Luton – non-league a few years ago and now Championship and with such style. Lincoln a couple of years ago, non-league now League 1. It can be done and neither of these teams have our fan base. Yes there’s internal confidence in Bowyer, I just wish Hopkin perhaps had seen it out – and I still wonder about what went on promoting his departure. Still Rupp hopefully will make it shortfall – but if he doesn’t …. I can only guess that Hopkin left because he wasn’t allowed to bring in the big striker he wanted, in January. Does anyone really think that Billy Clarke was his preferred choice, knowing Hopkin’s style of play?! Jason I’ve been absolutely bursting to say all of that. Thank you for doing it for me. !!! There are 13,700 season ticket holders this season and all are included in attendance figures whether they attend or not. In October at the Coventry midweek game the official attendance was given as 11,075! This makes no sense whatsoever. I thought Luca Colville was a permanent signing and not a loan as suggested in the player list below? Thanks Dave – I genuinely thought he was a loan signing but I’ve checked and you’re right. I’ve amended his details. Well said for us all Jason. Like 13106 others we have renewed. I do fear for the future and just hope……. I wonder how many season ticket renewals are actually “bet-hedged” purchases of Flexicards instead of Season Tickets? I’m confident that in Gary Bowyer and Julian we have the managers to make a proper fist of next season in the fourth division. And, historically, division 3/4 is our “natural habitat”! Because Divisions 3 and 4 have where City have been for most of their existence, should we accept this as ah well it’s ok then? This is exactly the losers mentality BowyerS refers to that the club needs ridding of, the clap the players off after another half arsed display, just glad we have a club to support really. It goes without saying RAHIC has a lot to answer for but to just single him out without attaching some of it to RUPP who after all was his business partner and we where led to believe a very good one or his he surely he must have seen the position the club was in you can go on the Internet in Germany I assume or is he very naive and easily pleased with failure. I do hope the combo of Rupp/Rhodes gets along well but to step back a bit all this praise for Rhodes who I am led to believe introduced Rupp/Rahic to the club has been a big step backwards,let’s remember Rhodes and Lawn where together for nine years and made mistakes but seemed to learn from them appointing a really good manager who brought in players who bought into the club. Maybe in Bowyer this will be the start of the climb back up the ladder the proof will begin in the summer with who he can bring in and how many of the current team we can move on the recent transfer windows under Rupp have not been eye catching at all. Rupp was likely mislead but DUPED is wishful thinking. A typically well written rallying cry. Yes, i renewed 2 full season tickets and a flexi card for next season. And may have persuaded a Blackburn supporting friend, who lives in these parts, to buy a flexi card for the first time, to watch some live football. I travelled to Bristol Rovers last Saturday with such low expectations, having paid for Saturday night accommodation in Bristol last December. The away end last Saturday had a feeling of being in a Bradford City away end in the early/mid 1990s. This season has seen me attend less than 20 games for the first time in a long time. However, like many others, I have renewed my season ticket for next season. Here’s to some stability next season. What it shows about City is we are a club with fan momentum. The last 18 months have been a painful but temporary blip. However, with so many fans renewing tells me our fan base has solid foundations and something we should be deeply proud of. Now with Rhodes back and Gary Bowyer at the helm I feel we will soon begin our next wave of Bantam progressivism. The good times will roll back. Keep the faith! I renewed my season ticket and bought a flex card for a friend even though I can only get across to a dozen or so matches. I believe it’s the least I can do, from afar, to support the club we all love.